Children’s activities generate a lot of material that you need to have at your fingertips. 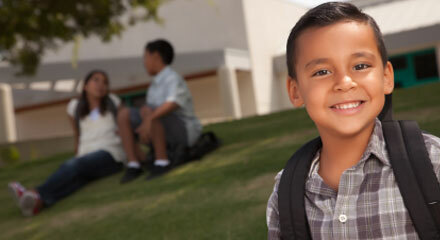 Here are some ideas to make it easier to manage their school and extracurricular activities. 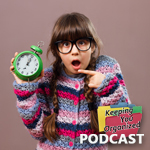 You’re kids will always be ready for their activities and you’ll relax more knowing you haven’t forgotten something. Collect all of the important paperwork for each child’s activities. Registration and order forms, permission slips, school menus, sports schedules, camp lists, party invitations, rosters, phone numbers, etc. Ask your child each day if any new materials were handed out in school. Check their school’s website for announcements your child may have forgotten. 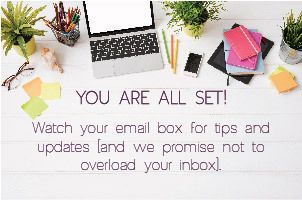 Print any email messages that contain important information about your child’s school or extracurricular activities. 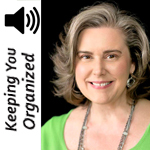 Create a separate three-ring binder for each child. 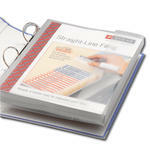 Use different colored binders to make it easy to find the right one in a hurry. Divide the materials into groups by activity type; homework, school activities and events, sports, camp, parties, clubs, etc. 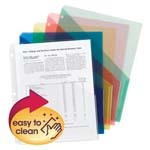 Use a Expanding Poly Slash Jackets to hold all of the paperwork for each activity. The jackets expand to hold up to 100 pages. Use a different color for each activity type. Put all of the jackets together in the ring binder. 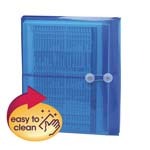 Keep all kid’s binders in a visible, high-traffic location, such as on a kitchen counter, or near the telephone. 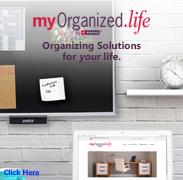 Keep a master calendar that lists all family activities. Add new events as soon as you find out about them. Review the master calendar every day for events scheduled for that day and the next few days. Look in the binders for any paperwork that pertains to the events on the calendar. Fill out any forms that need to be turned in. Include payments if needed. Bring the activity slash jacket with you if you will need several of the documents at the event.